On October 7, Bosnia and Herzegovina (BiH) will hold presidential, parliamentary, entity and cantonal elections. 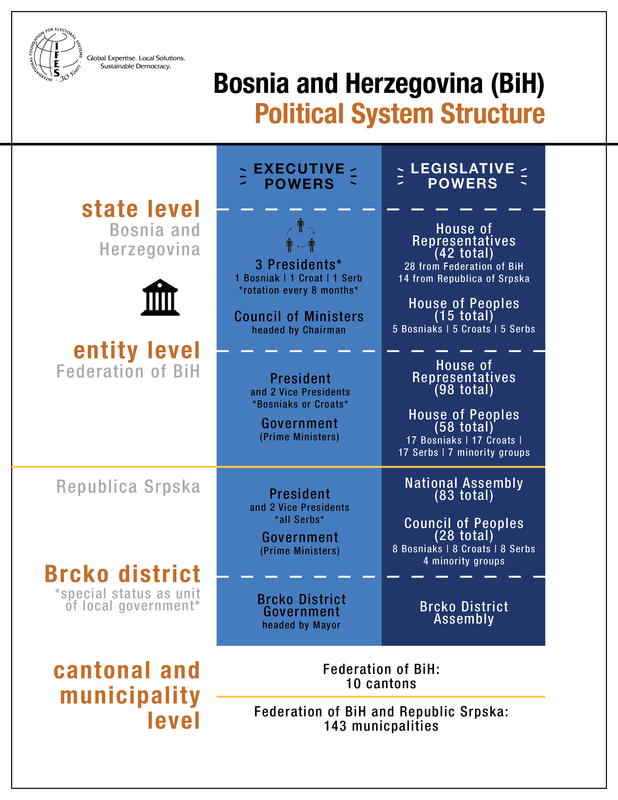 BiH is a federal parliamentary republic composed of two entities: the Federation of BiH, predominantly Bosniak-Croat, and Republika Srpska, predominantly Serb. In addition, Brčko District, which is ethnically mixed, holds a special status as a unit of local self-government. The upcoming elections are organized by the Central Election Commission, Municipal Election Commissions and Polling Station Commissions. What are the election management bodies? Where and how will voters cast their ballots? What provisions are in place to promote the equal participation of ethnic minorities?